Most Banks will be irrelevant by 2030. The FinTech industry in India is growing at a break-neck speed and technology innovation is powering this growth. The industry now needs highly skilled professionals who can manage and navigate the FinTech business world which is filled with phenomenal opportunities. IIM Calcutta, in association with TalentSprint, offers a 6 Month Advanced Programme in FinTech and Financial Blockchain (APFFB). The Programme is for professionals in Banking, Consulting, Financial Services, Insurance, Management, and Technology, who want to be at the forefront of the FinTech Revolution and wish to lead FinTech initiatives in their organization or want to start their own. IIM Calcutta, with its expertise in quantitative courses, analytics programmes, and financial markets is well placed to equip professionals with both the academic framework and the practical skill sets to help set a firm footing in this brave new financial world order. Completed his Ph.D. in Statistics from the University of Connecticut. Been working with IIM Calcutta since 1997. Visiting faculty at the University of Connecticut at Stamford, and the University of Nebraska-Lincoln. IIM Lucknow, IMT Ghaziabad and Institute of Chartered Accountants of India. 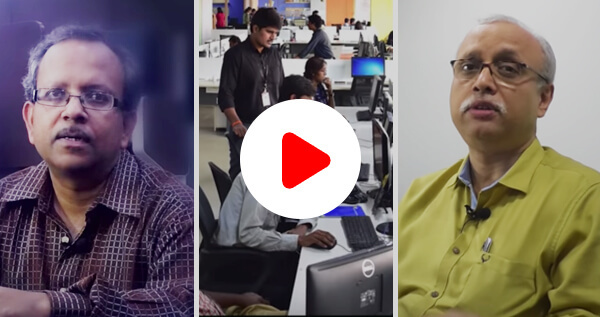 Globally acclaimed researcher in analytics and FinTech with BTech from IIT, MS from Iowa and PhD from Purdue. Previously at the University of Hong Kong and the University of Florida. Coordinator of IIMC Case Research Center and past advisor of analytics for SBI. What should you expect from this Programme? *Selection for the Programme will be done by IIM Calcutta and is strictly based on education, work experience and motivation of the participants. The Indian Institute of Management Calcutta (IIMC) was established as the first national institute for Post Graduate Studies and Research in Management by the Government of India in November 1961, in collaboration with Alfred P. Sloan School of Management (MIT), the Government of West Bengal, The Ford Foundation, and the Indian Industry. 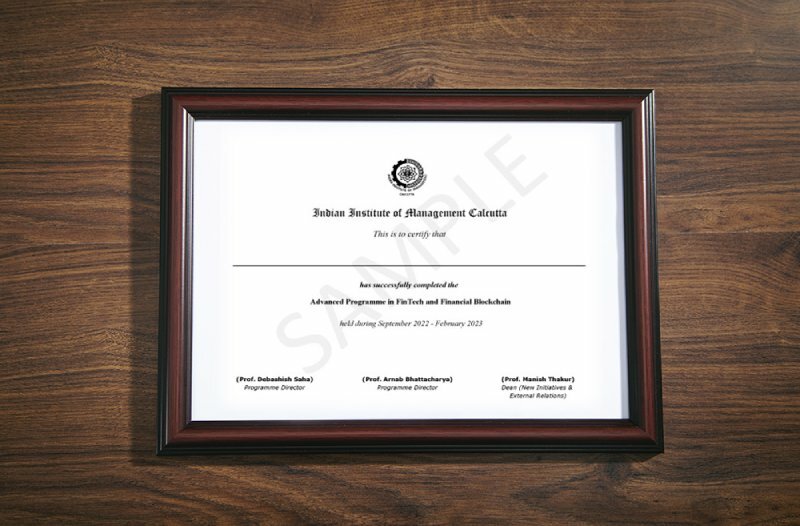 Over the years, IIM Calcutta has grown into a mature institution with a global reputation, imparting high-quality management education. It has been playing a pioneering role in professionalizing Indian management through its Post Graduate and Doctoral level Programmes, Executive Training Programmes, Research and Consulting Activities. It is ranked at #3 Management Business School in Asia and under Top 25, globally. For more information please visit www.iimcal.ac.in. TalentSprint brings high-end and deep-tech education to aspiring and experienced professionals. It partners with world-class academic institutions and global corporations to develop and offer disruptive programs. TalentSprint's hybrid platform delivers unique online and onsite experiences that help build cutting-edge expertise, for today and tomorrow. Funded by Nexus Venture Partners and the NSDC, it is the recipient of several national and international awards including Dream Company To Work For 2017, Best Innovative Technology Organisation In Education Sector Award 2016, World HRD Congress HR Tech Leader Award 2014, CIO Review Company of the Year Award 2014, Silicon India Industry Performer of the Year Award 2014 and others. For more information please visit www.talentsprint.com. TalentSprint with its deep understanding of the FinTech industry, access to industry experts, and a state of art technology platform, has been chosen by IIM Calcutta as the right partner for this programme. The Programme equips professionals with both the academic and research insights coupled with practical knowledge and enable them for the brave new financial world order. Participants will get in-depth exposure to core FinTech domains. This programme is best suited for management professionals at mid and senior levels from Banking, Financial Services, FinTech, Regulators, Industry bodies, Start-ups and Technology organizations. Participants aspiring to be future FinTech leaders and keen to create a FinTech blueprint for their organizations from across the country and abroad will be your peers in this programme. IIM Calcutta with its expertise in quantitative courses, analytics programmes, and financial markets is well placed to equip professionals with both the academic framework and the practical skill sets to help set a firm footing in this brave new financial world order. All the members of faculty belong to IIM Calcutta. The selection will be done by IIM Calcutta and even the certificates will be issued by them.